The exact date the Jewish texts reached its final form is unknown. Many scholars believe this happened sometime much later than the Babylonian exile, which began after the fall of Jerusalem in 587 BCE, and the subsequent periods of Persian and Hellenistic rule (some 900 to 1800 years after Moses). 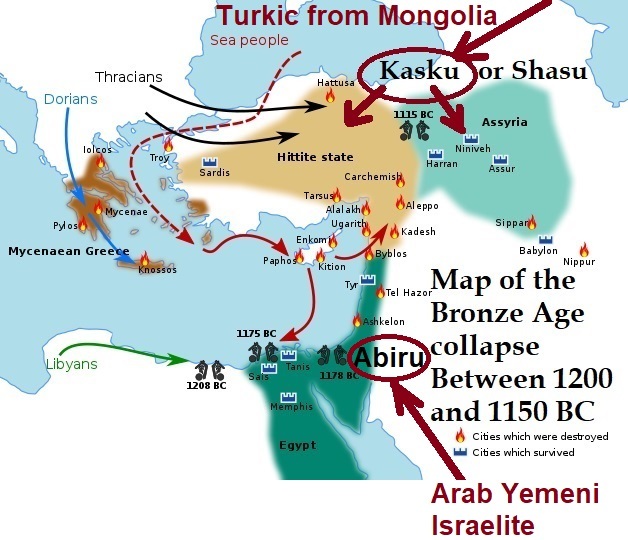 Since 1800 BC Turkic groups coming from Mongolia raided almost all the Middle East, India, and Eastern Europe. One of these Mongolian raiding groups is mentioned in Egyptian records as Shasu. They occupied Hittite region in eastern Anatolia with the Black Sea. They are the reason behind Hittite Empire collapse, total destruction of its capital, and the 1177 BC Late Bronze Age Collapse in the whole region. The first clue that the ancient Israelites worshipped a creator God lies in their own name. The name given to Jacob is “Israel” indicates clearly that God’s name is “El”. Plural form, Elohim, could be used for reverence and respect too. This is like shouting “Elahu Akkaber”! Therefore, El for the Israelite and Allah for Arabs are the same word with little different pronunciations. This fact is another evidence that the Israelites who became Hebrew Israelites in Canaan only after 1406 BC are originally Arabs from Yemen. Then another name or god appeared and this new deity is known as YHWH. 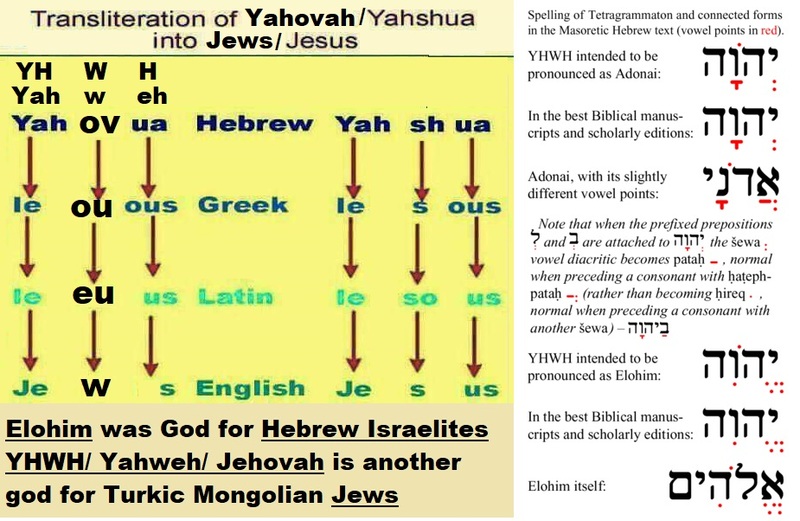 The Hebrew Bible mention this other name or god as four consonants known as the Tetragrammaton (Greek for “four letters”) which are transliterated as Y-H-W-H. But this not the Israelite original name of God as it had been clearly known and used since at least 2000 BC, during the life of Enoch and Abraham. The name “Israel” is certainly much older than the veneration of YHWH by the group called Jews. The Bible appears to address this early worship of God as El in Exodus 6:3, when God tells Moses that he “appeared to Abraham, Isaac and Jacob as El Shaddai (today translated as “God Almighty”). 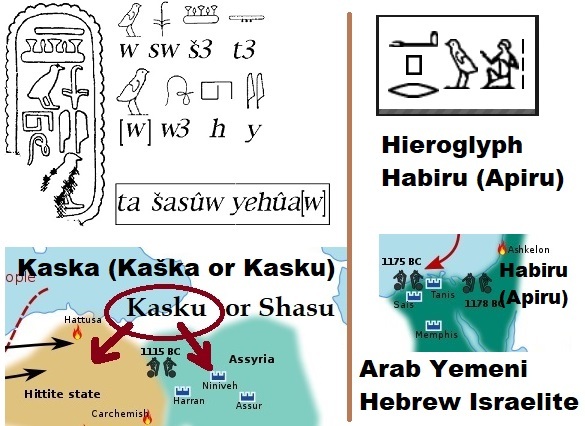 In fact, YHWH was not the god of Israelites at all, as it is evident that the ancient Israelites adopted it from a mysterious, unknown tribe that lived somewhere in the deserts of the southern Levant and Arabia. So how did the Israelites worshiping EL come in contact with the cult of YHWH? The Bible is quite explicit about the geographical roots of the YHWH deity, repeatedly linking his presence to the mountainous wilderness and the deserts of the southern Levant. 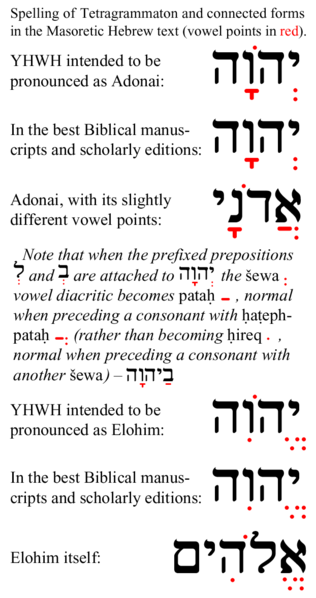 YHWH is the origin of the words: Yahweh; Jehovah; and Yehud. 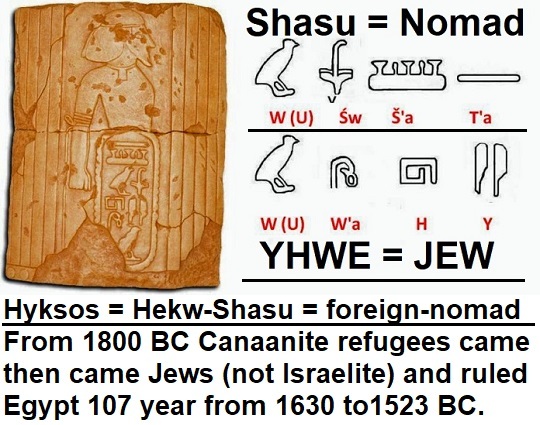 Actually “YHWH” not Judah is indeed the root source of the word “JEW”. All these regions and locations can be identified with the territory that ranges from the Sinai and Negev to northern Arabia. YHWH’s penchant for appearing in the biblical narrative on top of mountains and accompanied by dark clouds and thunder, are also typical attributes of a deity originating in the wilderness, possibly a god of storms and wars. Hebrew Israelite were called “Abiru or Habiru” and their only God for thousands of years is EL, while the Jews were called “Shasu of YHWH”. These are two different nations with two different gods. But finally the Jews and their god YHWH won over the Hebrew Israelite and replaced their God EL. A helpful article is posted on Haaretz “How the Jews Invented God, and Made Him Great”.